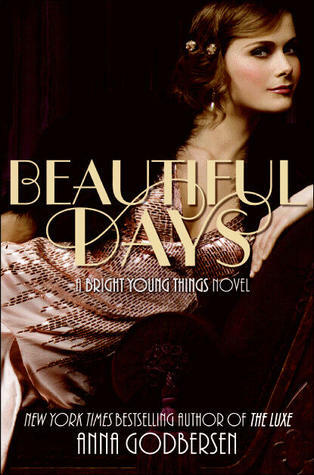 This sequel to the Bright Young Things novel picks up with Letty, Astrid, and Cordelia. Cordelia is settling into her new life with her newly discovered brother, but still feels very responsible for their father’s death and is dying for a way to make herself useful. When her brother, Charlie, decides to open a speakeasy he chooses her to run it. Letty is still trying to get her singing career off the ground and is hopeful there might be a place for her in Cordelia’s club, but things do not turn out exactly as she planned. Astrid is still partying and hoping Charlie will get serious about his proposal to her, but she finds her mother’s lack of support for her engagement confusing. The setting is fun and flirty and of course several men wander through that will inevitably become important to these young women. The women do grow and change, but the beginning is a bit slow and some readers might not make it to the end to see how the characters evolve. The eventual paths these three take will make readers want to know more about them and what will eventually become of them, especially as the 20s come to an end. A fun story set in a fun time that will intrigue romance and historical fiction readers.